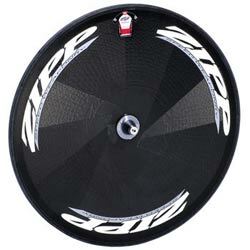 Buying a disc wheel is one of the best ways to improve the aerodynamic performance of your time trial bike. They are expensive – you can easily pay over £500 (and much more). But, they do make a difference. Also, the faster you go, the more aerodynamic drag they save. Disc wheels work by smoothing the passage of side wind. Less wind turbulence means less drag and faster times. The weight of a disc wheel is not as important as the aerodynamic aid. 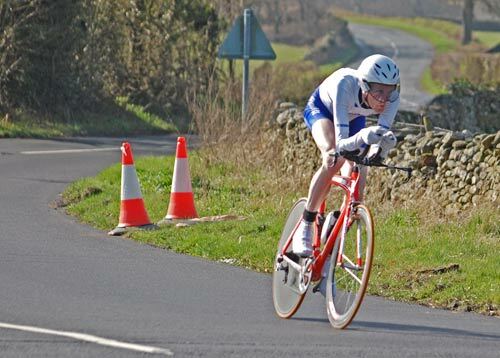 Even on the hilliest of time trial courses, you will go quicker on a solid disc wheel. Chris Boardman once used a disc wheel for winning the national hill climb championship. 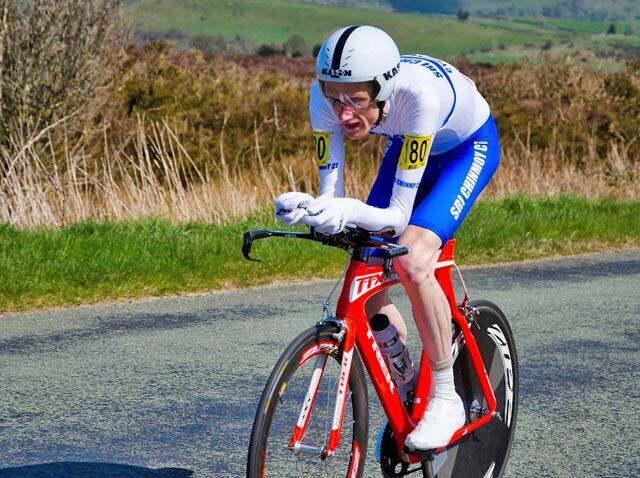 I don’t advise using disc wheels in hill climbs, but for nearly all time trials – aerodynamics are much more important than weight. 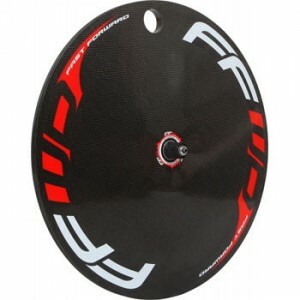 Also if you are going to be doing a lot of hilly time trials, look to buy a light weight carbon disc – some of them are surprisingly light. However, if you are an average triathlete or time triallist, don’t feel obliged to fork out over £1,000 for something super-light weight. If you can get a disc for £500 you will notice an improvement in aerodynamics. This is more important than doubling or tripling the amount you spend for very small marginal gain. For my time trial bike, I chose a Zipp 900. It was £600 less than the Zipp Super 9, and it was lighter than the Zipp Super 9. I’ve been using this discwheel for the past two seasons. It helped set new pb at 10 miles of 19.02 and for 50 miles of 1.41.14. It is fast and looks cool too. Like any aero equipment it’s always hard to pinpoint how much difference the wheel has made. But, I like it. A big bonus of the Zipp 900 is that at 935 grams, it’s not that much heavier than a deep section rear. Therefore, even on the hilliest time trials like the Bristol South CC megahilly or Buxton CC, I stick with the disc, as there is no real weight penalty and you gain a lot of speed on the downhill. The only downside is that you need a special adaptor for a track pump, as Zipp make the hole for the pump very small. For those on a tighter budget, the Fast Forward disc wheel offers great value. At under £750 it is more affordable than the Zipp 900, but has excellent design and aerodynamics. However, it is a little heavier. Weight Clincher: 1445 grams. Weight Tubular: 1195 gram. This is fine if you are doing flattish time trials. But, if you are doing many hill time trials, you might like to save the extra 200 grams.However, this weight is not so critical (for world Hour Record O.Sojenska actually chose a heavier rear discwheel for a ‘flywheel effect’ The Fast Forward disc is stiff and rigid. It comes with cork brake pads for the carbon rim. When Should You Ride A Disc Wheel and When Should You Ride a Deep Section Wheel? 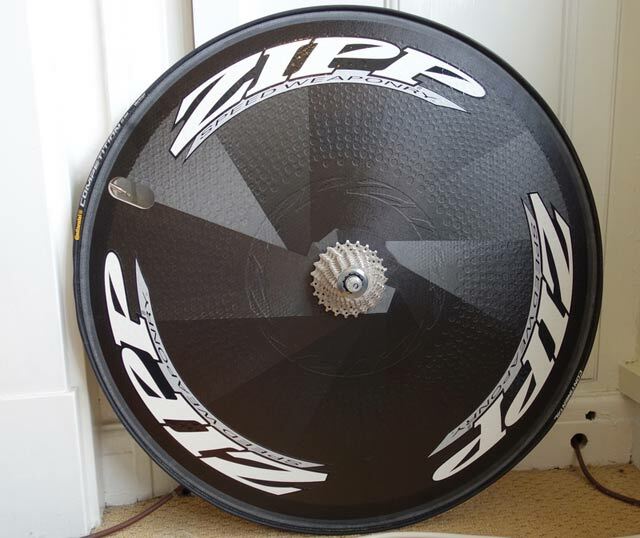 Generally, a disc wheel is going to be quicker – even on hilly time trial courses. I have known riders use discwheels in certain hill climbs (like constant gradient of 3%) I used a discwheel when riding Crag Vale. 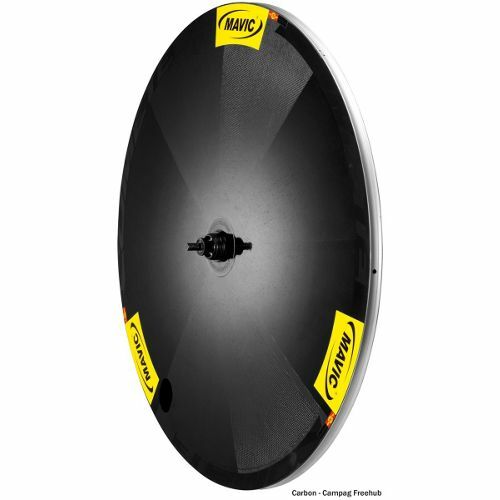 The aero benefits of a disc wheel offset the slight increase in weight. Another disadvantage of a disc is that it can marginally reduce the cornering performance when riding. For criteriums, disc wheels would be a disadvantage (even if they were allowed). The extra weight makes it harder to accelerate out of corners and it is less responsive when cornering. However, in most time trials, it is very unlikely to be so technical this becomes an issue. Generally, I will always try and ride the disc in a hilly time trial. Some try to make their own disc wheel and save a lot of money.